Fall is here, and I bet you enjoy all the coolest things about it: hot chocolate, sitting next to a fireplace, delicious apple pies and more. 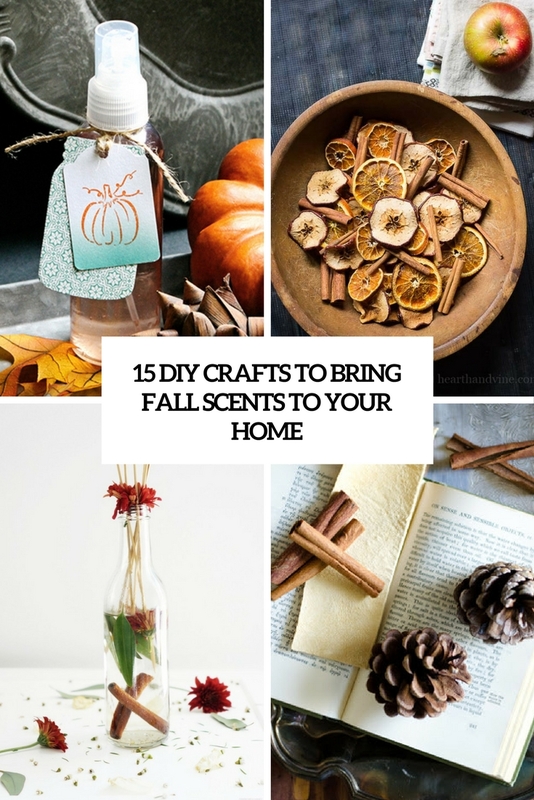 To embrace the season, you can also bring adorable fall scents to your home, and there are different ways to do that, for example, fall scented candles, mists and room sprays, potpourri and simmering pots, just choose your way to bring some aromas. Here are some DIYs you can go for. There’s something about a pot of homemade potpourri simmering on the stove, that’s very comforting and inviting. As we all know we can’t always have a perfect pumpkin bread baking in the oven, so this will be the next best thing. 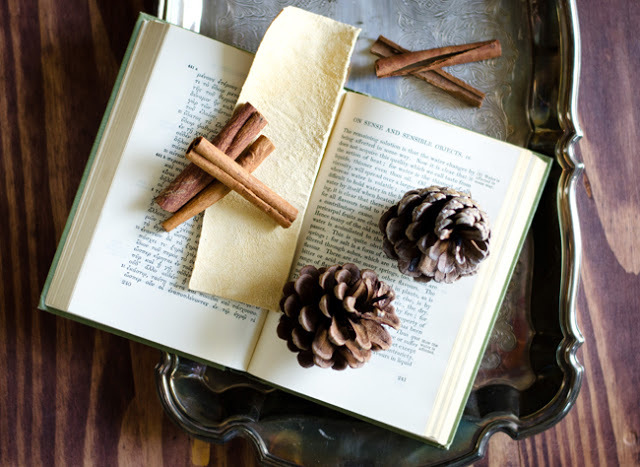 Here are a couple of simple potpourri recipes to make your home smell like fall. All of these ingredients are available at your local grocery store. If you do not have whole spices, by all means feel free to substitute ground. Who doesn’t love the aroma of pumpkin spice in their home? 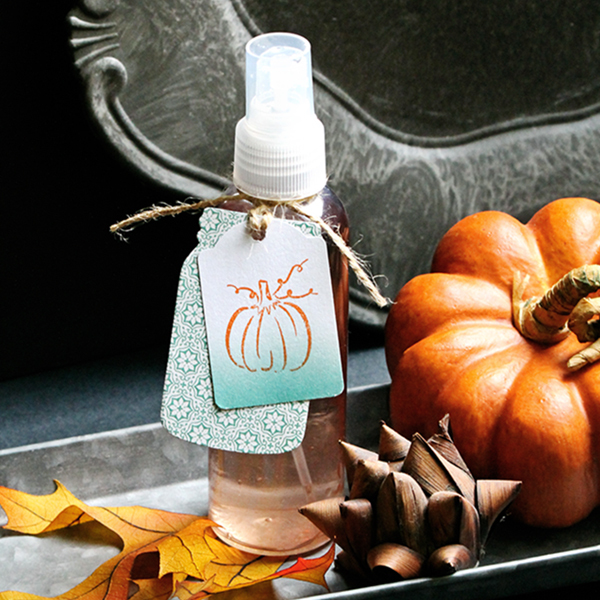 Just one mist of this Pumpkin Spice Linen Spray and you’ll be hooked! Linen spray can be misted over bed sheets, guest towels, and more. Try spraying your rugs before vacuuming or spritz a little on your just washed linens before drying. 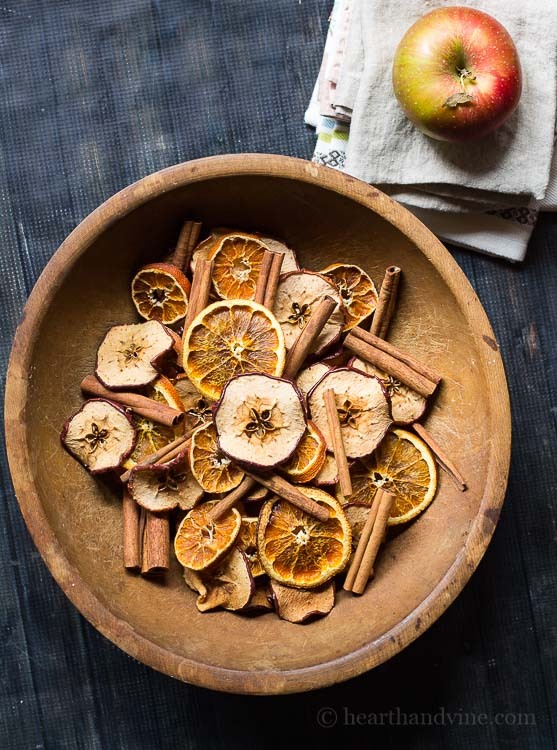 Here’s an easy way to make homemade potpourri with store bought apples, oranges and cinnamon sticks. Perfect for fall and throughout the winter, these scents offer a warm and cozy feel to your home. The dried fruit and cinnamon sticks are fragrant, but if you want to add more fragrance or freshen up this potpourri in the future, you can easily add some cellulose fiber and fragrance oilto the bottom of your bowl. Pinecones are probably my favorite fall and winter decor; they’re just so pretty! 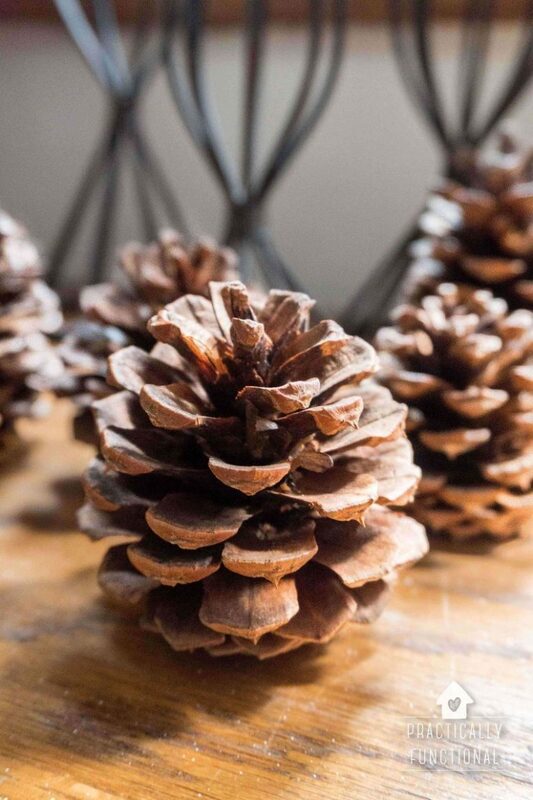 Now that the weather is starting to get cold, it’s high time to make your own cinnamon scented pinecones to use in decor. It’s super easy to do, doesn’t cost hardly anything, and the scent is 100% natural and lasts way longer than store-bought! There are two different ways stated in the tutorial. It’s high time for a fun fall playdough activity! 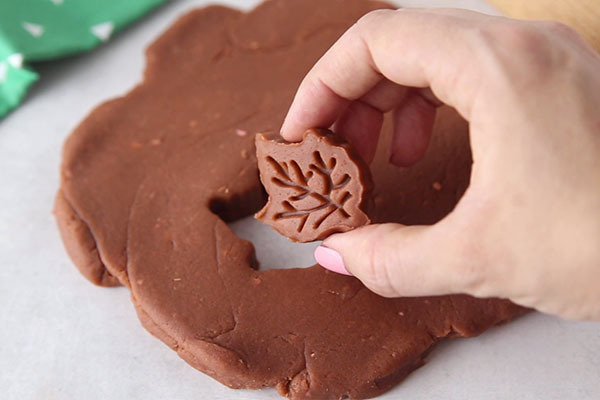 Kids will love pretending to bake maple flavored cookies with this brown maple playdough. And what is not better than maple cookies in the fall? The best part about this homemade maple scented playdough is that it’s taste safe. We don’t recommend eating it of course, but it’s great for kids to play with since it’s non-toxic. As always, be sure to supervise the activity and do not allow children under 3 or children that put things in their mouth to play with it. The potpourri you buy at the store often has very artificial scents that can be overpowering, to put it mildly. Making it yourself is fun, and you can really customize it, using elements from your yard or garden. Remember that the appeal of potpourri lies in not just a pleasant scent, but also an array of colors and textures. It can really brighten up a table when placed in a pretty bowl, or work as a deodorizer for the bathroom or kitchen. And it makes a pretty seasonal gift. The amounts will vary according to personal preference and what’s available to you. We can’t fully embrace fall without the wondrous scent of cinnamon, clove and citrus! 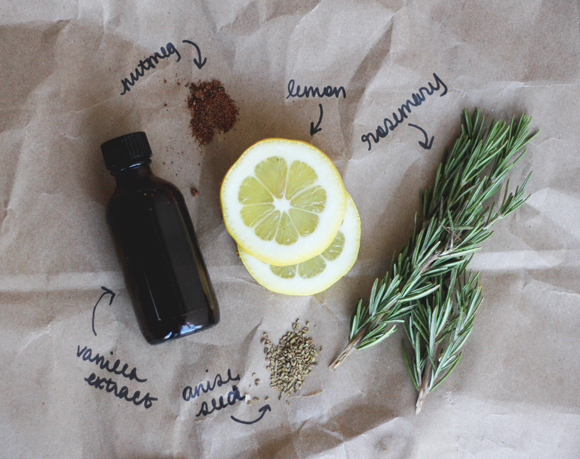 So prior to having a lack of delicious smells melt down, make your own DIY fall scented diffuser. It is so quick and easy, much more decorative than candles, and you will use little things from around the house to make it. So keep your candle stash for next year and place these beautiful scent diffusers around your home. The cinnamon oil from pure essential oils is a delicious smell that reminds of fall and Christmas time and it also works as an air purifier, is anti-bacterial and anti-viral. Besides, cinnamon essential oil helps to fight the seasonal bugs through the fall and winter months. 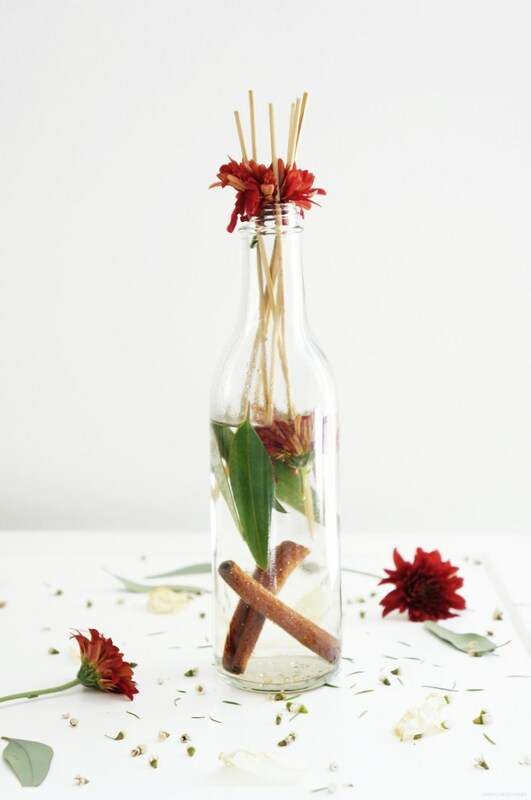 Cinnamon pinecones are perfect for adding beauty, fragrance, and increasing the bacteria and viral fighting qualities in your home. There is something so comforting about the spices of Fall. While summer’s taste pops with fresh bursts of garden flavor, Fall’s taste is soothing and warming with the late harvest. Pumpkins, apples, pears and butternut squash. All perfectly rounded out with cinnamon, clove, orange peel, and a little love. Leather and felt are both wonderful bases for scents. As bookmarks, they are safeguarded until we open the leafy folds off a book to have them release a breeze of autumn spice to our tickled noses. Also these leather and felt swatches can be tucked in clothes drawers and hat boxes to impart their lovely scent onto clothing. Tucked in a folded paper envelope or a book, these make great gifts! Simple yet elegant and you can tailor each gift depending on the person and their scent personality. DIY candles are actually really easy to make, and don’t require a ton of time or fancy equipment. 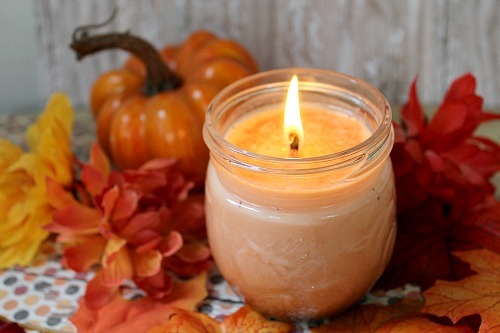 This homemade pumpkin spice candle is a soy candle, which means its much safer than traditional paraffin candles. Paraffin wax candles produce soot, and also emit harmful chemicals like benzene and toluene. Even if you don’t burn candles often or don’t have asthma or other respiratory issues, you don’t want any that kind of stuff in your home’s air. Soy candles also burn longer than paraffin candles. What not to love! 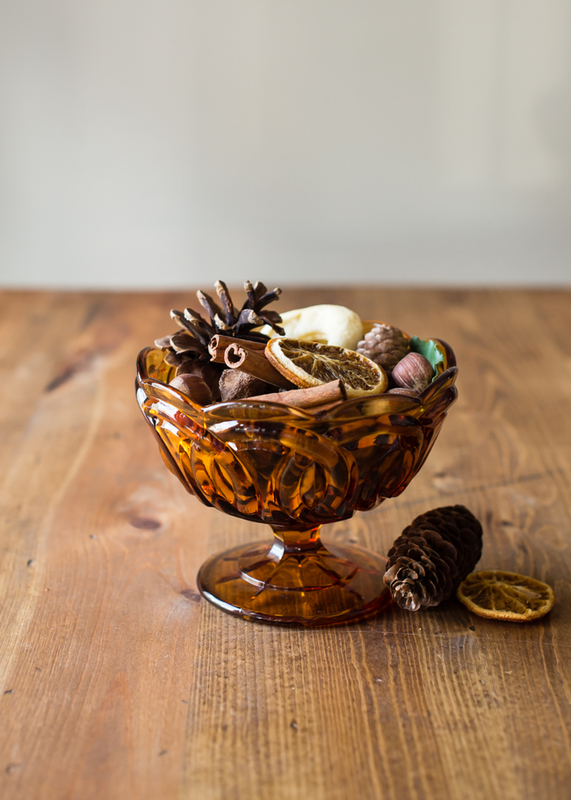 This cool potpourri includes all the aromas that we love about fall: cinnamon, apples, oranges and cloves! The craft is super easy and won’t take much time, and your home will smell welcoming and cozy! 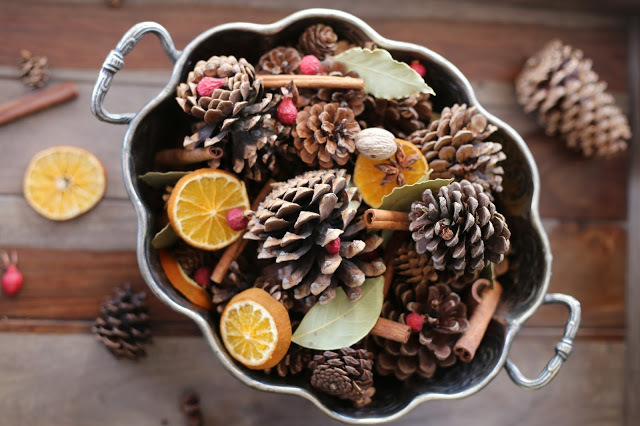 Another way to make potpourri is to gently burn some fall scents on your stove all day long. I love making simmering potpourri when I’m craving a scent that is much stronger than what you get with dried potpourri. Just fill a saucepan with water (or apple cider! ), add in the ingredients of your choice, bring to a boil, and then let simmer as the coziest scents fill your home. Be sure to always be present when burning stovetop potpourri, and add more water if the liquid gets low. 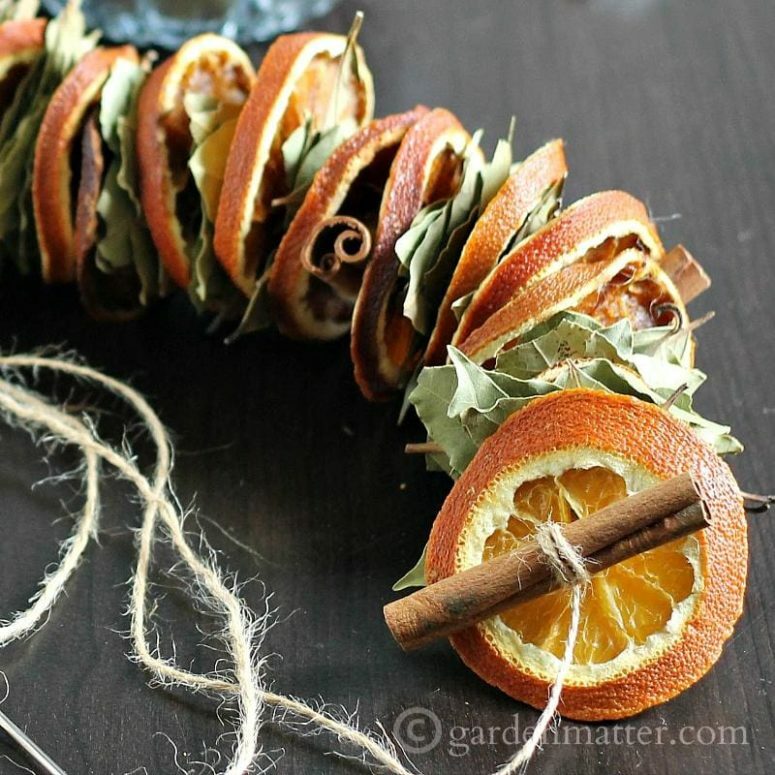 Have you every made a dried orange garland? The drying process takes some time, but overall its pretty easy to make. My sister and I used to make these for our herbal shop with different dried fruits, and other botanicals, like dried red hot peppers. Very pretty at the holidays. Even more instant than the pot simmer is a room spray made with essential oils. I keep a bottle handy to spritz the bathroom, kitchen, bedrooms and living room any time we need a little pick-me-up. It can also work as a linen spray. This blend really brings a nice woodsy, spicy outdoorsy scent indoors when misted. The fall season is here and we all want to feel cozy and warm inside our homes. 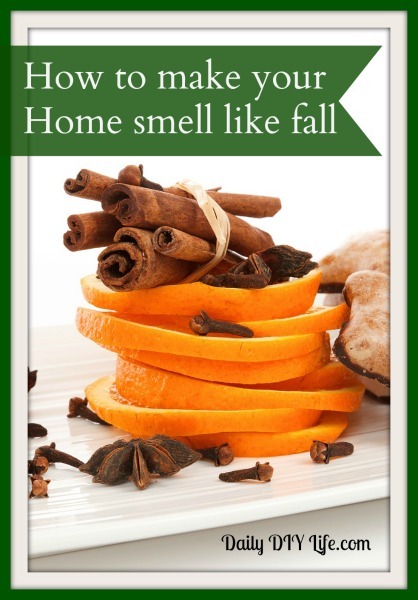 Here is an Easy DIY trick to make your home smell like fall the natural way. A better and safer alternative is to make your own scent. 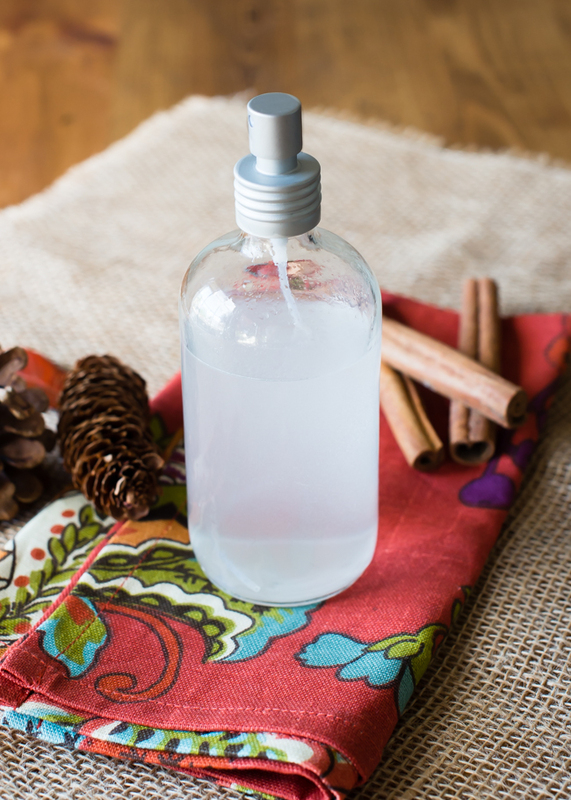 You won’t believe how easy it is to make your home smell like fall the old fashioned way. A simmer pot recipe with orange peels and cinnamon. Your home will smell like fall in minutes. The aroma is so cozy and calming. The best part is you only need two inexpensive ingredients.